REGISTRATION FOR THE PET PARADE AND COSTUME CONTEST IS NOW CLOSED. 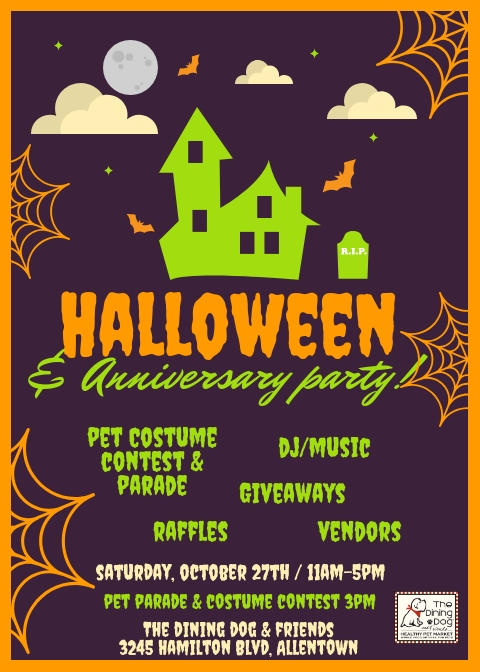 WE HOPE YOU STILL JOIN US FOR THE FESTIVITIES AND BRING YOUR FUR BABIES. Want to volunteer? click here to sign up to volunteer during our party! Come to celebrate the season and our 4th Anniversary Party. 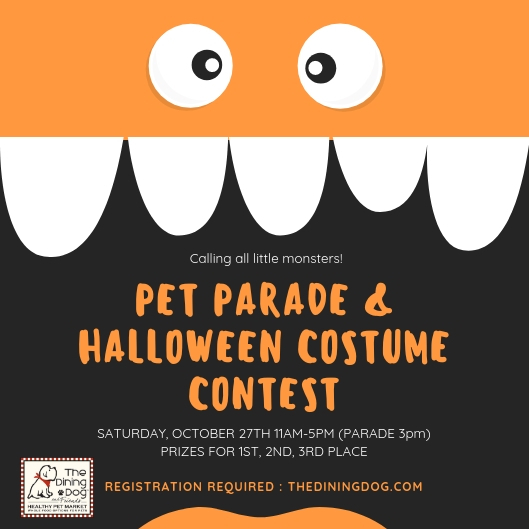 Get Registered for the pet parade costume contest!